From last year...clearly, safe to blog now since everyone has received and attended the event! 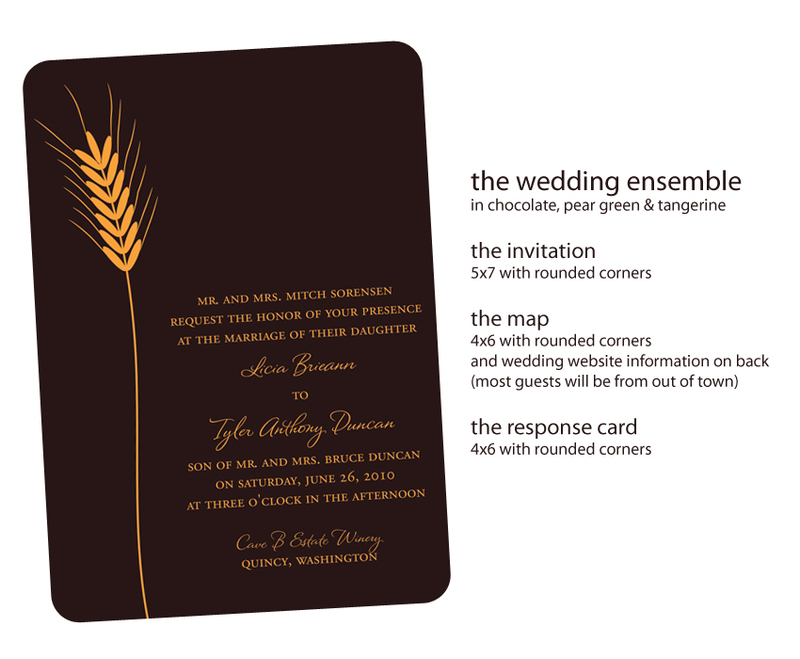 The bride chose three colors -- chocolate, pear green and tangerine for the wedding. 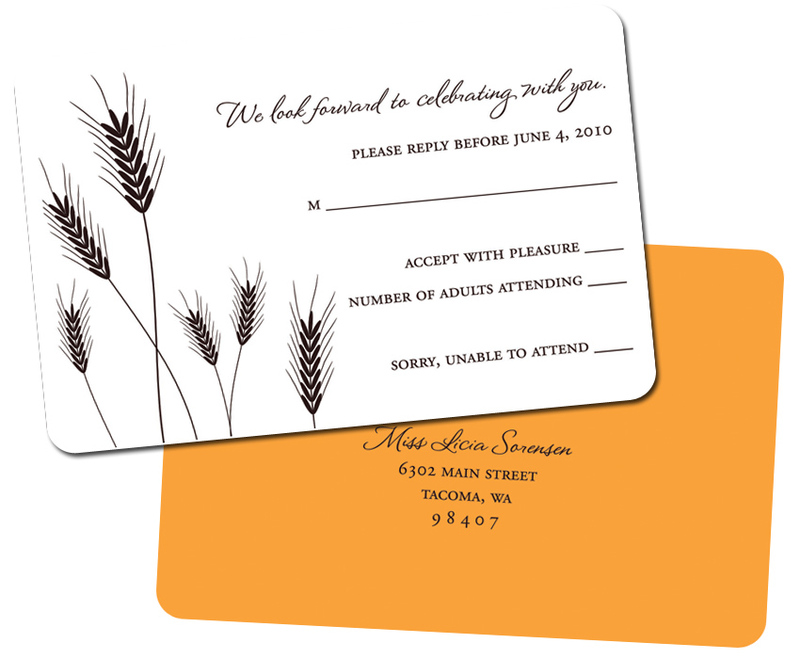 Her family has a connection to the wheat industry in Washington, so we used a simple wheat motif throughout the ensemble. Clean and uncluttered was the goal...tying in the three colors throughout. 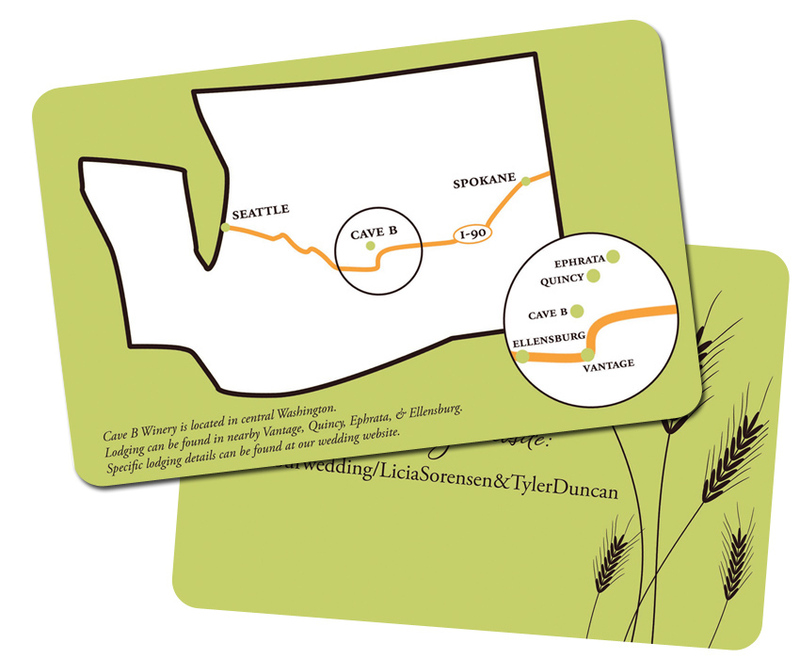 As the wedding was a 'destination wedding' for both families, coming from each side of the state, I designed a brushstroke state of Washington on the map card, highlighting the main route of travel to the wedding itself at Cave B Winery in Quincy. Adding in a simple 'map zoom', it highlighted the neighboring towns to Cave B without cluttering up the overall design. The ensemble was sent in a chocolate envelope, and tied together with satin ribbon. We all loved how they turned out...here's a glimpse for you!